Have the Structural Funds support for Roma integration been effective in the 2007–2013 programming period? 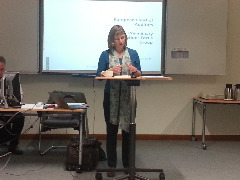 Are policy developments on Roma integration (i.e. EU Framework for National Roma Integration Strategies and relevant measures) likely to be successful in addressing and meeting integration challenges in the 2014–2020 programming period? - The recommendations drafted in response to the audit findings. The focus group was designed to reflect a balance of opinions and to provide new perspectives and viewpoints. It is important to note therefore that participants were not asked to provide their own audit of the effectiveness of the use of structural funds for Roma inclusion, but to comment on, validate and, where appropriate, offer improvements and perspectives on the Audit team’s observations, conclusions and recommendations. ERIO suggested to the Court of Auditors that when analysing the audit, they should focus more on rights rather than needs. ERIO proposed to take into consideration the nature of the evidence and the source, to focus more on structural failure and change rather than thinking about Roma only as a vulnerable group. The Czech Constitutional Court has received a proposal for the abolition of the planned inclusion that has been anchored in an amendment to the Schools Act adopted last year. As of 1 September this year, children with mild mental disability are to be gradually included into the classes of mainstream primary schools and are to have special conditions for their instruction provided there. The proposal to abolish inclusion was filed by attorney Richard Novák, who represents the parents of nine pupils and an educator at the Institute for Social Care in the Kociánka quarter of Brno who is dedicated to working with disabled children. "We claim that the introduction of inclusion, i.e., the combination of children without any health limitations and children with mild mental disability, who frequently include autistic schoolchildren, in the same classroom will be a big problem and will be more harmful than helpful to the disabled," the attorney told the Czech News Agency today. Czech Education Minister Kateřina Valachová (Czech Social Democratic Party - ČSSD) is defending inclusion. Recently she met with the parents of children living with disabilities at the Kociánka institute and did her best to convince them that the planned changes will be gradual in nature and that the parents themselves will be the ones to decide whether to enroll their children into mainstream classrooms. The Emilia-Romagna Region wants to overcome nomad camps and give Roma and Sinti people more durable and respectable housing solutions. For this reason it has approved a call for grants which implements the regional law on the social inclusion of Roma and Sinti people (L. July 16, 2015, No. 11). The total allocation amounts to €1 million and will finance housing projects of the Municipalities. The initiatives will also include some forms of social and educational support to families (schooling, vocational training, job placement), social mediation and intervention against conflicts. 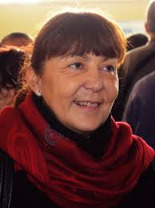 Romanian MEP Monica Macovei demanded for more rights and guarantees for designated budget for ethnic Romanian Roma people living in Bulgaria. This transpires from an open letter sent by Ms Macovei, former Romanian Minister of Justice and current MEP, to Bulgarian PM Boyko Borisov, Minister of Labour and Social Policy Ivaylo Kalfin, Minister of Education Meglena Kuneva, and the National Council for Cooperation on Ethnic and Integration Issues with the Council of Ministers, obtained by FOCUS News Agency. For generations, they were owned by the rich and powerful, who bought and sold them as chattel. The owners would sometimes force them to wear collars fitted with iron spikes on the inside, to prevent them from lying down to rest when they were supposed to work. The women would be sexually abused. Couples would be forcibly separated. Their children would be taken away from them and turned into slaves too. Yet this tale of subjugation comes not from the grimmest era of America’s Deep South but from continental Europe: Romania. And it is a story that remains largely untold today, even though hundreds of thousands of descendants of those who were enslaved — the Roma — struggle with the stigma it left. 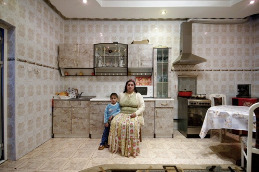 “The five centuries of slavery mark a tragic period in the history of Romania… a period in which the Roma were deprived of the status of human beings,” Delia Grigore, a specialist in ethnology and herself a Roma activist told AFP. “The slavery of the Roma is a lost page of history,” said Alina Serban, a young Roma actress and playwright who has written about the Roma identity. Juan de Dios Ramírez Heredia delivered a vibrant plea against racism vindicating the memory of Holocaust victims. The liberation of the extermination camp of Auschwitz-Birkenau in Poland was commemorated once again on January 27. This terrible center of martyrdom and death is undoubtedly the most significant and dramatic image of the suffering to which millions of human beings were subjected under the murderous boot of fascism. The United Nations established that, on January 27 of every year, every country must held acts of homage to the victims that would, at the same time, serve as an alert to prevent future crimes against humanity. This year, once again, the Senate of Spain celebrated a solemn act of state where were present many personalities of the Spanish public life. At the tribune there were: the President of the Senate, Mr. Pío García Escudero; the Minister of Foreign Affairs and Cooperation, Mr. José Manuel García Margallo and the Minister of Education, Culture and Sports, Mr. Íñigo Mendez de Vigo. And, next to them, the President of the Federation of Jewish Communities of Spain, Mr. Isaac Querub Caro and the President of the Spanish Romani Union, Mr. Juan de Dios Ramírez-Heredia. In the following link you can see and hear the intervention of the President of the Spanish Romani Union with English subtitles.